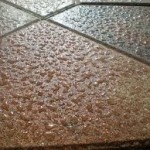 To use paver sealer or not to seal? That is the question! 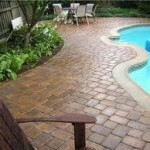 We are big advocates of using paver sealer on all of our brick paver installations. Why, you ask? Well, the best analogy is that paver sealer is simlar to waxing your car. Like car wax, paver sealer protects your newly installed bricks from premature fading due to sun exposure. It also helps keep your pavers cleaner longer, prevents the absorbtion of oils and stains, and brings out the true colors in your brick pavers by giving them a wet look. 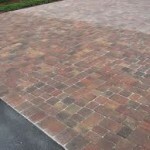 Most “brick pavers” are made with cement and have recently been manufactured before being delivered to your job site. 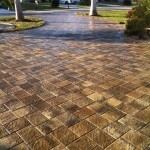 This is an import fact to consider due to the fact that cement needs to cure, or dry, before applying paver sealer. In most new paver installations, we recommend waiting a minimum of four weeks, sometime longer, before sealing the pavers. 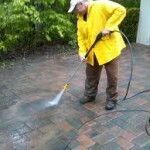 The first step in sealing your pavers is pressure washing the entire surface area. We then let that dry up over night. 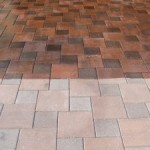 Next, we will re-sand all of joints as pressure washing inevitably blows out some of the sand that was previously installed between your pavers. Finally, we will spray or roll on the sealer. We prefer spray on sealers as they coat the pavers with an even layer of sealer, whereas rolling sealer can lead to spots where the sealer is thicker, usually in the joints. This is an issue because the sealer can dry looking white in those thick areas. Sealer needs to re-applied every year or two. The South Florida sun can really beat down and this breaks down the solids in the sealer, causing the sealed effect to diminish over time…just like car wax. 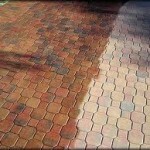 Sealer can also rejuvenate old pavers that haven’t been cleaned or sealed in a long time. 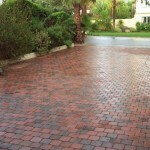 The wet look the sealer brings to the pavers really accentuates the true color blends. 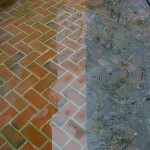 We do, however, recommend that you install sealer soon after new pavers have been laid. 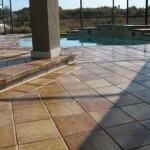 Check out our paver sealer gallery below. You can see some examples of how dramatic an effect this product can have on making a paver project look truly beautiful.